You know that feeling when you first fall in love? Yeah, it happens with flowers too. Oh yes. It's real. The REAL DEAL! I'm in Lisi love! I get all giddy and nervous inside with first season flowers. Every thing's a mystery and there's so much to learn when you trial a new flower. Anticipations and expectations are high in the beginning until the doubts set in. Will this new addition grow deep roots with my love and care or will it not? In other words, how will this relationship end? We only have a short time to get acquainted after all. We're either going to get on or, we're not. 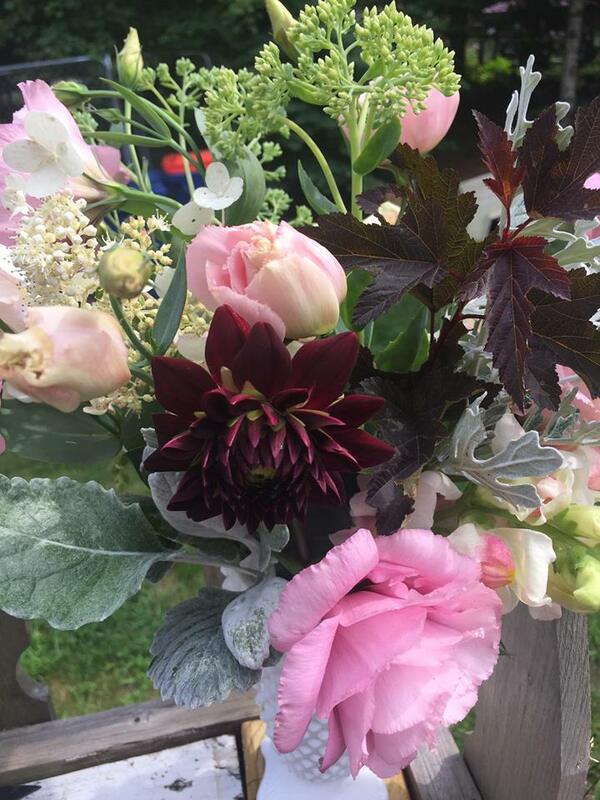 I'd never tried growing Lisianthus because I always thought our coastal New England season was too short and I'm not set up for starting seeds properly so I did what every flower farming, love-sick Lisi lover does. I bought plugs. 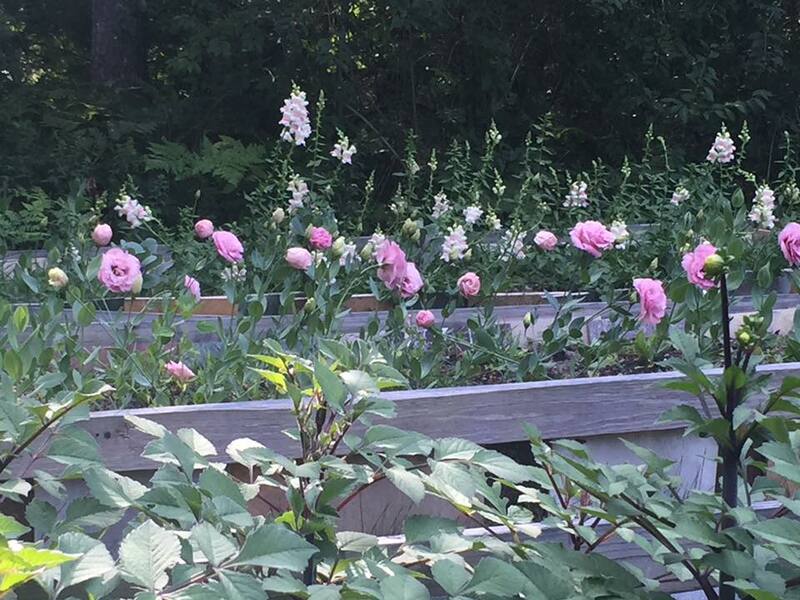 ( wrote about it here) and prayed they would take root and grow outside in my raised beds. Pretty Rose Lisianthus with apple blossom snaps in the background. And they did just that! They are tricky little flowers though. They form buds that stay small and tight for a few weeks then it takes about another week for them to finally unfurl, but when they do it's heavenly. The Rose pink were the first to bloom. Stay tuned for white and pale yellow! I was so anxious to design with them once they were fully opened but I didn't have much else blooming at the time except for the apple blossom snapdragons which couldn't have been more perfect with their creamy white and pale pink petals. They are the sweetest smelling flowers too! The greens off the pale pinks set my heart a thumping and the deep burgundy picks up on the deep red center of the Lisi which adds drama and elegance to the over all pallet. But don't let those delicate paper-thin petals fool you into thinking she's a delicate flower though. These beauties can take a light rain and still stay looking fresh. They get an A+ for vase life too. It was well over a week before they finally started to droop a little. We enjoyed them on the dining room table while they lasted. 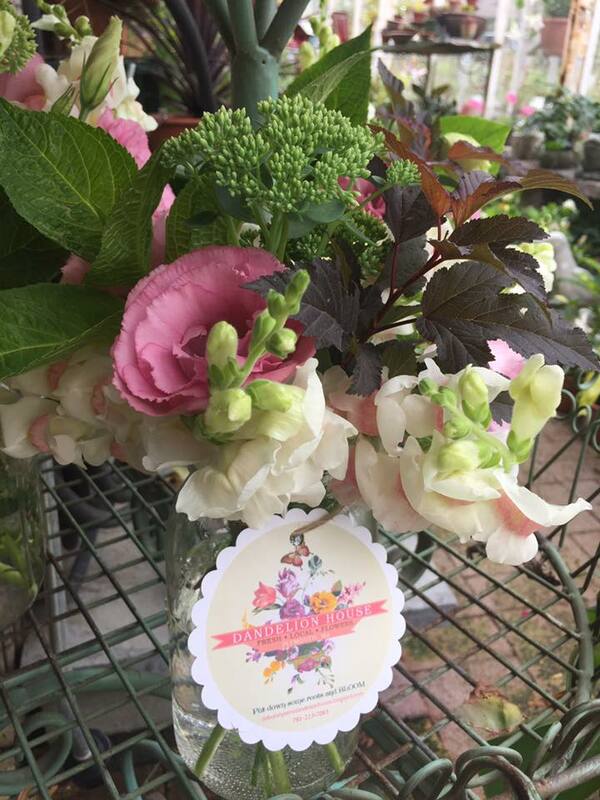 And I took a few mason jar arrangements into Crystal Lake Garden Shop where I work play part time. I absolutely adore Lisi's even more than I thought I would. I can't wait to try some of the other shades and varieties next season. 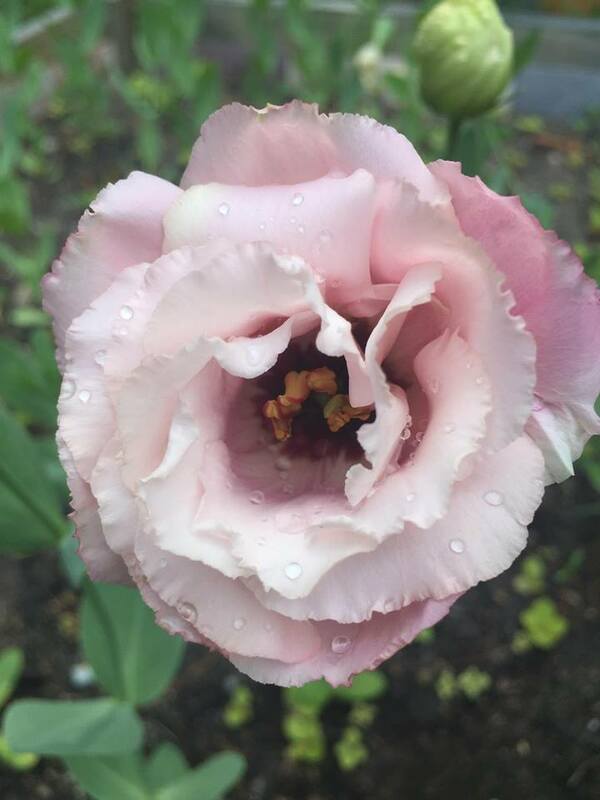 Here's what I learned about my first season growing Lisianthus. Planting: Lisi plugs can be planted very close together. I planted mine at 5 inches apart and I'll go even closer next season for more blooms and so they'll lean into each other as they get tall. Some varieties can get up to 28 inches. You can net them so they'll stay upright as well. It's a personal choice. Some flower farmers are huge fans of netting while others find it difficult to harvest around. 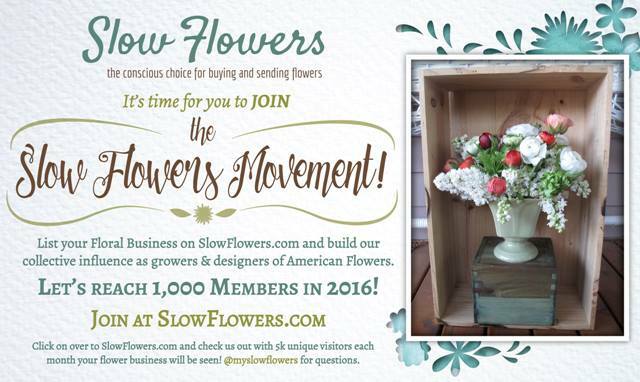 They are slow growers and bloomers. They like consistent watering especially during the early growth period right after planting. 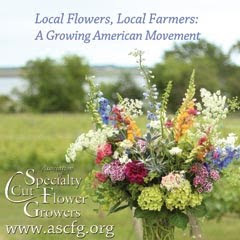 This helps them grow strong, tall stems that are great for cutting later. Designing: Lisi's are very popular for weddings and make a great substitute for roses. 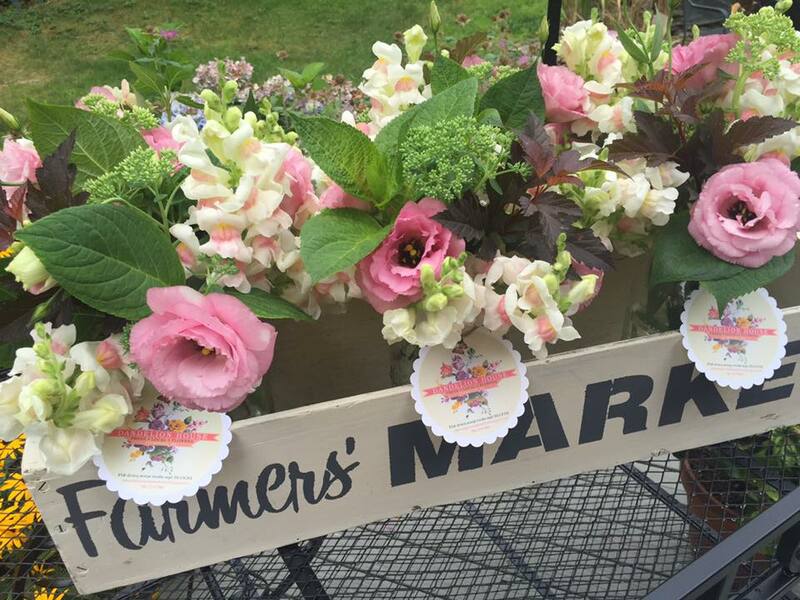 They're all the rage for the garden fresh, organic flower styling that's trending today. Over all they are slow but fairly easy to grow and I had no issues with disease or pests. Weeds love to grow right near the flower stock so be careful when weeding that you don't pull the plug right out along with the weeds. I've also read that if you plant them out as early as April ( even in colder climates) you may enjoy a second flowering in September. I don't think I'll be that lucky this season as I planted the first week of June but, there's always next year! 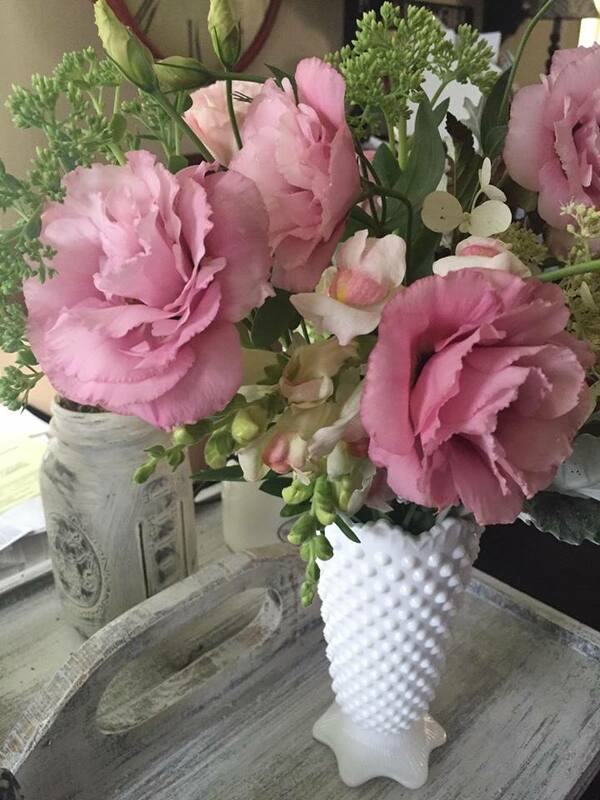 I encourage flower growers of all levels to try Lisianthus. Visit Farmer Bailey Plugs for a beautiful selection of Lisianthus for your farm or cutting garden. Order early for best selection and I bet you'll fall in Lisi love too! 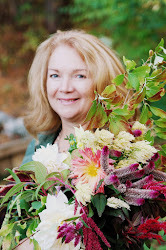 Stay tuned for my next post about my first floral workshop here at Dandelion House!